Almost all current D-SLR cameras that have a movie function need to turn off the built-in optical viewfinder when you shoot video. This a technical limitation since the mirror must go up to uncover the sensor for video shooting. These cameras have a great LCD that provides very good quality and viewing experience but this doesn’t help too much when you want to make some movies. Since there is usually no fast auto-focus, most of the time you need to do manual focus if you want to shoot video continuously. This becomes almost impossible on a sunny day. 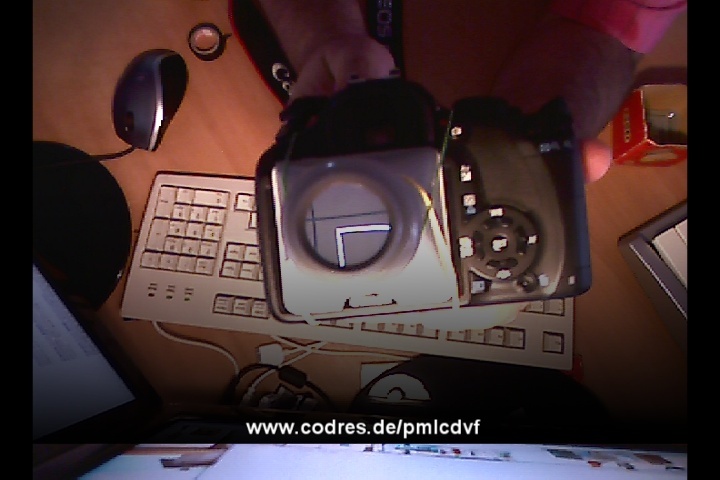 There are a lot of solutions for turning the LCD into an electronic viewfinder ranging from 50 Euro, going through 180 Euro to even 400-500 Euro. That’s a good solution for a professional, but the casual video shooter may not want to invest this amount of money for a feature that actually the camera should provide. So, there is my simple and cheap solution to this. 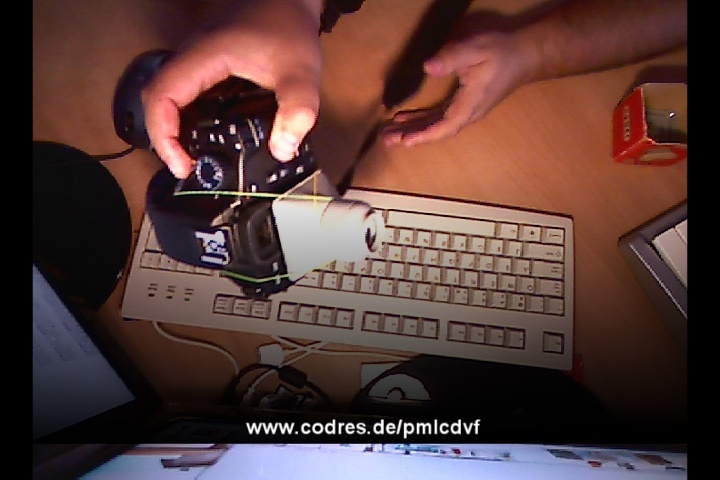 I got this idea when I saw a DIA film portable viewer called F-Scoper from CENEI at Fleamarket last week (in German Diabetrachter). 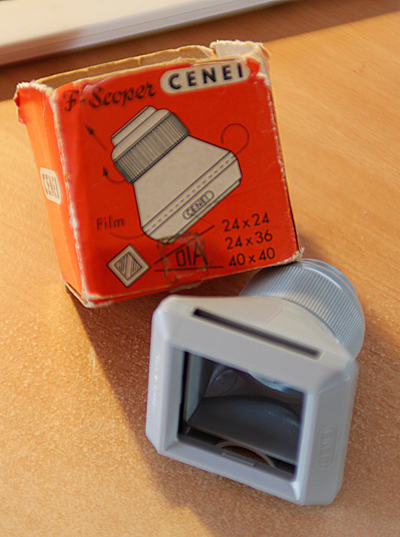 I can’t find the F-Scoper from CENEI on any online shopping sites? A little help? Thanks!